Torque! Commonly known as the extra force applied to a bolt after it’s tightened down. This definition perfectly describes the capability of the Penn Torque Spinning Reel. Machine made with a full metal body. The Penn Torque applies HT-100 drag system technology to wrangle powerful Marlin and heavy Mako Sharks. Penn puts a Fully Sealed System into their Torque line of spinning reels, thus protecting the inner components from harmful outside elements. The Penn Torque comes in 3 different sizes and offers 9 models to choose from. 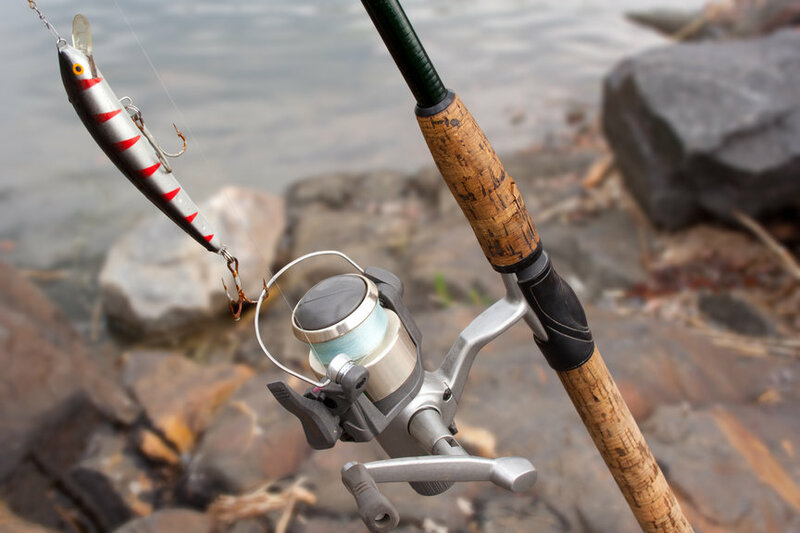 Tough and durable, the Penn Torque matches up against reels like the Daiwa Saltiga Dogfight at 3/4 the cost. The Torque Series starts heavy but still offers a wide range within its classification. The Penn TRQS5G (the lightest reel in the series) weighs 21.2 ounces and moves up to 29.4 ounces in the TRQS9BBLS (the heaviest reel in the line). Torque drag starts at a max of 38 pounds in the lightest models, 40 for the medium sizes, and moves up to 50 pounds max in the 3 heaviest reels. Line capacity plays an important role in landing big fish. Penn delivers with the lightest of the Torque reels holding 340 yards of 12 pound mono or 550 yards of 20 pound braid. The TRQS9B has a line capacity of 490 yards/20 lb mono or 575 yards/65 pound braid. The lighter of the Torque reels have a retrieval rate of 5.9:1, slightly higher than the 5.1:1 ratio of the heavier models. All Torque reels come with the same 8 bearings. One anti reverse bearing and 7 sealed bearings. Penn uses the HT-100 front drag system and makes the entire line of Torque reels left/right hand adaptable. Penn puts a simple but precise design into the Torque reels which helps keep the cost down. That being said, Penn Torque reels employ advanced technology which puts them above such reels as their own Spinfisher V in terms of drag power and finesse. Take a look at the features Penn did decide on when designing the Torque reel. Fully Sealed System – Penn uses advanced technology and design making the Torque element proof. Designed primarily for saltwater use, neither water, grit, or sand can enter the reel’s working components. Full Metal Reel – Almost anyway! The Torque’s design includes an aluminum body, spool, and side plates. The bearings are sealed stainless steel, as is the pinion gear. 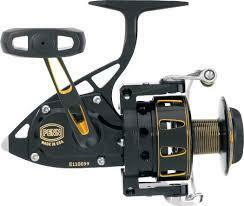 The main gear is made of marine grade bronze and the handle has an aluminum shaft. HT-100 Drag System – HT stands for High Technology while the 100 represents the amount of line miles tested without showing sign of washer wear. The technology is described as an oversized front drag system and the force it withstands lives up to that claim. Machined With Precision CNC – Gears line up perfectly so there’s no skipping, play, or seizure when the force of a feisty sailfish stresses them. Auto Or Manual Trip Bail – A small switch under the rotor lets the user decide to trip the bail manually or have the reel do it automatically by turning the handle. The Penn Torque captivates the eye with its sleek appearance and black or gold color scheme, though its elegant style hides the simplicity and power inside. Created to withstand the most powerful of pelagic species, the Penn Torque was also made to last. Keep this reel clean on the outside and it will keep itself clean and working on the inside. 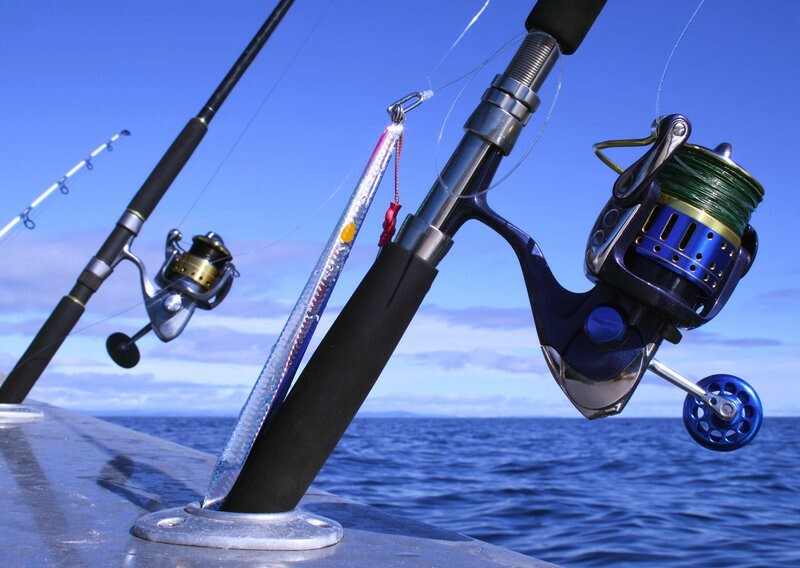 The Torque lets you carry a reel that’ll go head to head against reels well over $3,000.00. All at a fraction of their cost. Well worth your hard earned dollar in our opinion. Despite the fact that the Penn Torque reels are fully sealed, I don’t subscribe to using higher end equipment in the surf as they’ve been advertised. 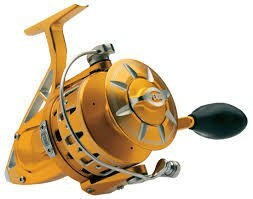 I prefer a cheaper reel in the surf which I flush thoroughly with fresh water after each use. I keep my nicer gear for more expensive offshore excursions. The simplicity of design vs. the price might be a drawback for some buyers. Penn might have put a little more emphasis on appearance than features in the Torque Series than some fishermen would prefer. I personally believe a simpler design is better (there’s less to go wrong), though I do cringe at paying too much extra for the sake of appearance in a reel. The Penn Torque Series provides a viable option for saltwater fishermen in pursuit of large game fish. Marlin, Shark, Sailfish, Tuna, Yellowtail, Tarpon, Bone Fish, Striper, White seabass, Wahoo, and Swordfish present perfect targets. Penn is a reliable name with excellent customer service standards and full service centers. Penn Torque reels offer a capable substitute to the highest end of big game sportfishing spinning reels with a reduced sticker. They look good on the ocean, and feel even better attached to a bent rod with peeling line! See Where the Torque Ranks! !